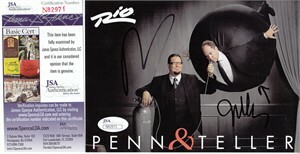 Penn and Teller Live at the Rio 5x7 inch postcard autographed in black Sharpie by both magicians. 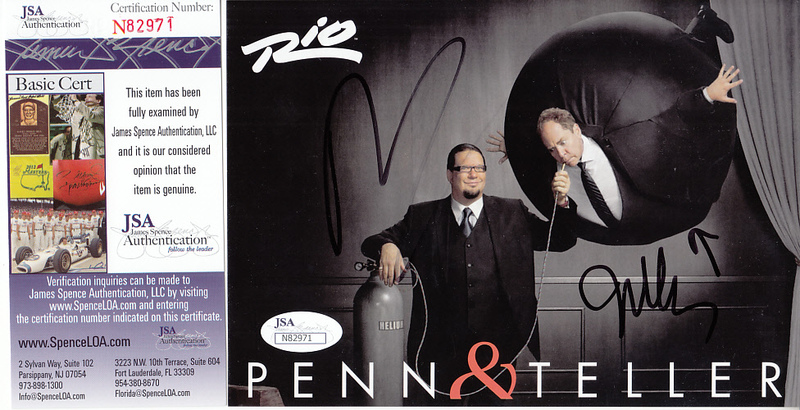 Obtained in person, authenticated by JSA with their matching numbered sticker on the postcard and certificate of authenticity card. ONLY ONE AVAILABLE FOR SALE.